Ok so before i begin - please try and ignore how messy my hair is! Hating the wind at the moment, and the warm tone of my hair doesn't help (change coming soon...). Anyway, I realised after moving into my flat and unpacking all of my clothes, than i was lacking any black knitwear. Which is surprising considering black is my favourite colour to wear in the winter. I immediately went on the hunt for a stable black knit, but realised they are actually pretty difficult to find - probably why i didn't have one! I ended up finding this one when trawling through the Topshop website one evening. It was a little expensive but the best one i'd seen so i thought i'd order it and give it a go. When it arrived i just knew i had to keep it! The fit is perfect, slouchy but not too oversized, the v neck is the perfect depth and the knit is one of the softest i own. I love that its got the white stripe around the neckline, i think it makes it quite versatile in what you can pair it with. 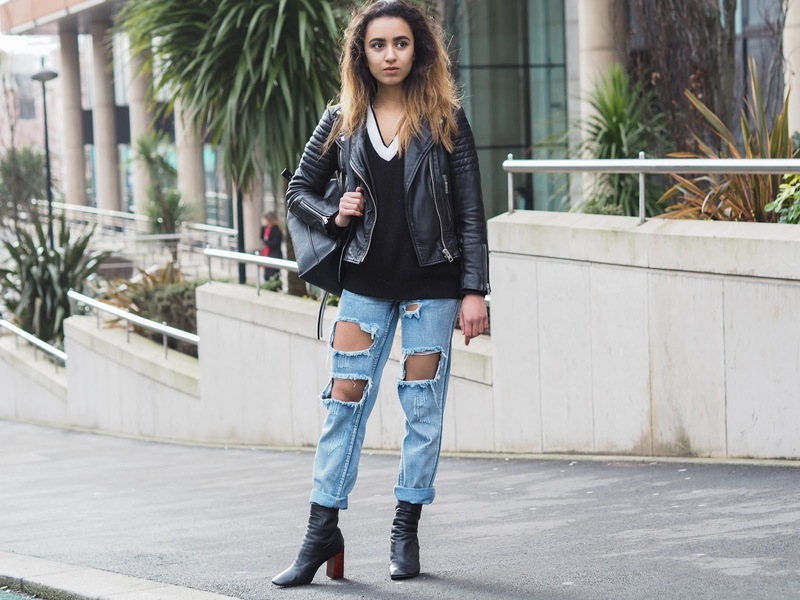 Ive gone for a casual slouchy look today and paired it with my ripped jeans from BooHoo, i lived in these jeans throughout autumn and although its a little cold for them now, i can get away with them as long as i bundle up on my top half. 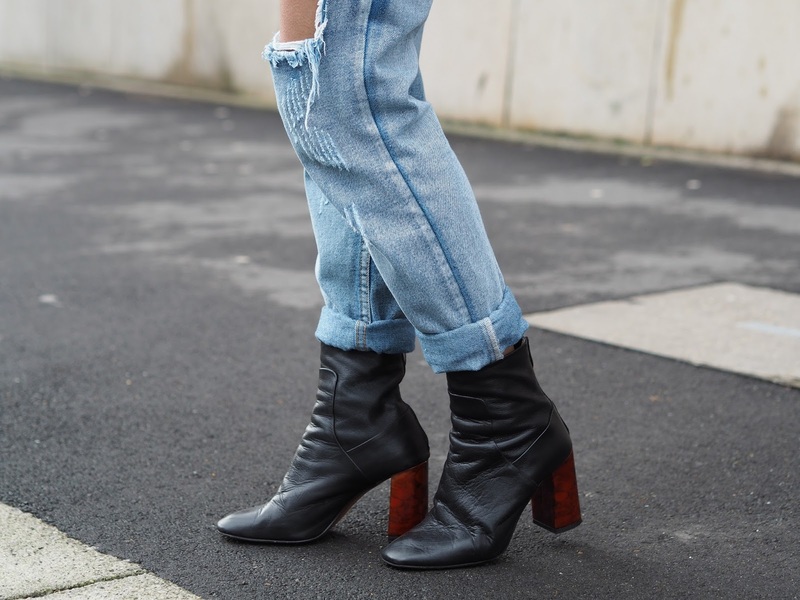 To stop me from looking too short and scruffy i added my favourite topshop boots. They can be dressed up or down but i find they really finish off an outfit - look at that heel! 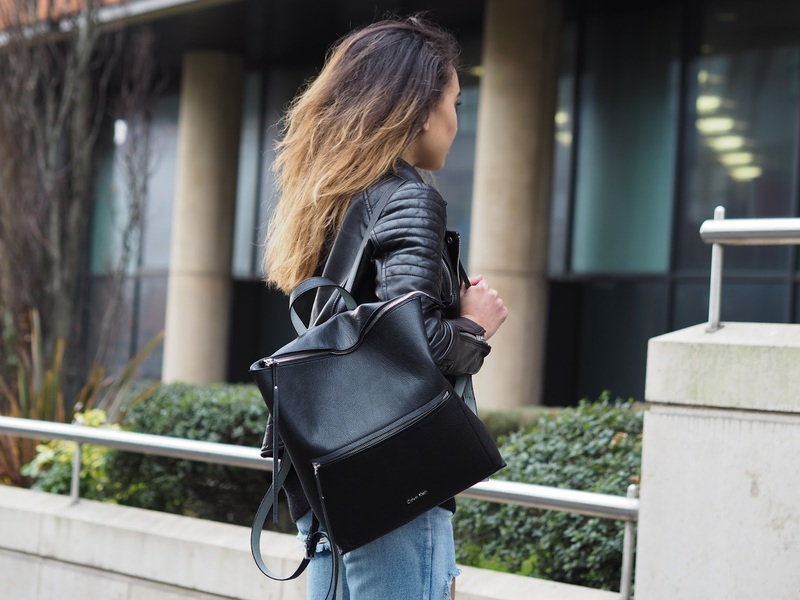 Minimal accessories, just my leather jacket and Calvin Klein backpack as its perfect for carrying my camera, planner and other essentials on work days. Now off for a day of errands!